The 2019 500X wears new front and rear fascias. A new 1.3l four-cylinder turbo is rated at 177-bhp and 210 lb-ft of torque. 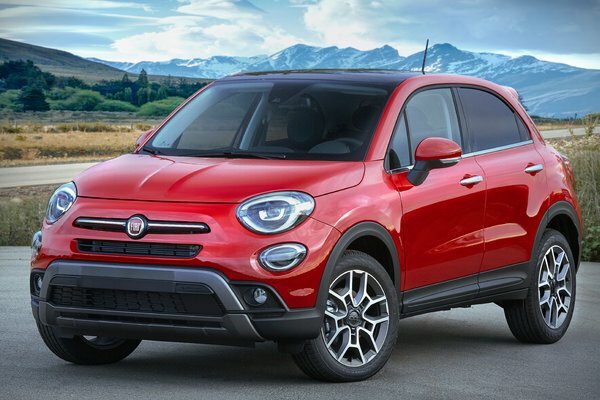 - New 2019 Fiat 500X powered by all-new 1.3-liter direct-injection turbocharged engine, which boasts 177 horsepower and a best-in-class torque rating of 210 lb.-ft. o Standard-equipped inline four-cylinder engine features engine stop-start (ESS) technology and FCA-exclusive MultiAir III valve actuation, both of which contribute to improved fuel efficiency and emissions reduction - Standard all-wheel drive delivers strong performance and capability for multiple terrains - New 2019 Fiat 500X, delivering classic Italian style, is refined with new...Read.